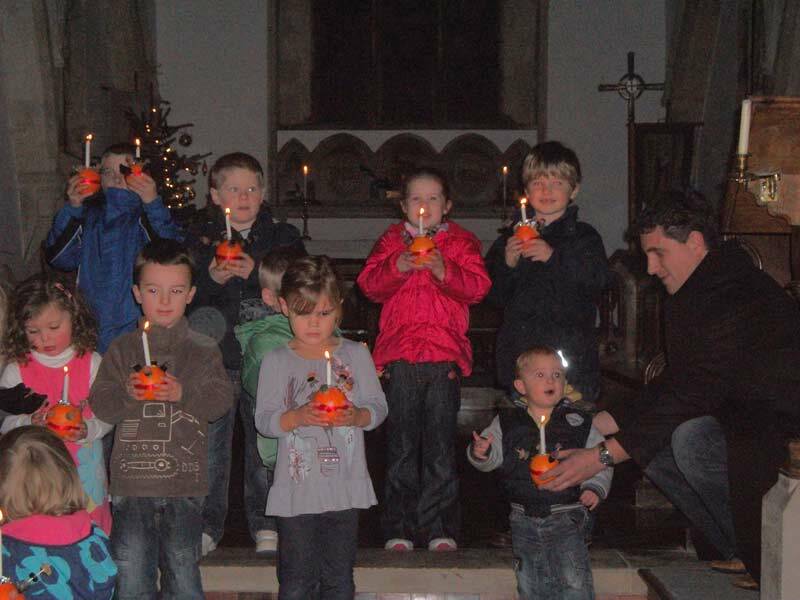 Our Christingle service in December was a great success – lots of children came along to the Christingle-making session at the school beforehand, and then Mary welcomed us at the gate through to the churchyard and we all went up to the service. Led by Mary, the service was fun (complete with captivating Canadian wolf story and plenty of howling…!) 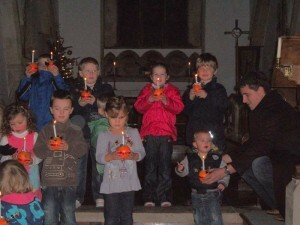 and thought-provoking at the same time, and when the children stood at the front of the church with their lit Christingles it really did look magical. It was lovely to see so many people there, and great to see some new faces. Thank you all for coming, and hope to see you next year!